How do you choose the right screws for your application? And how do you select the right sizes? Coach screws (also known as lag bolts) have two measurements. The M rating is the diameter of the screw thread; the measure in mm is the length of the screw from screw tip to the underside of the hexagonal head. So, for example, a screw with the dimensions M8 x 100mm is 8mm in diameter at the thread’s maximum width and 100mm in length from screw tip to the base of the screw head. The screw head itself remains proud of the drill hole. M6, M8, M10, M12, M16 and M20. 25mm, 30mm, 40mm, 50mm, 60mm, 65mm, 70mm, 75mm, 80mm, 90mm, 100mm, 120mm, 130mm, 140mm, 150mm, 160mm, 175mm, 180mm, 200mm, 220mm, 250mm, 260mm, 280mm and 300mm. That's a lot of sizes! Please note that not all diameters are available in every length. 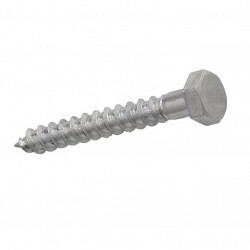 Stainless steel, passivated or galvanised screws? Browse our range and you’ll typically see three types available: passivated, galvanised and stainless steel. 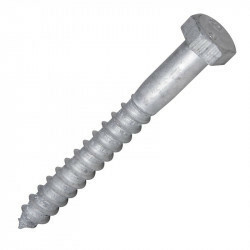 Galvanised are zinc coated, low cost steel screws. Typically a matt finish, these screws are often used in automotive parts, sheet metals, industrial applications and construction. The zinc coating offers corrosion resistance, making galvanised coach screws suitable for outdoor, hot, wet and humid environments. Passivated (or zinc plated) are electroplated using a zinc coating. Many of our passivated products are then finished in a yellow chromate. 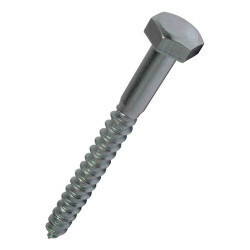 Passivation offers increased corrosion resistance, although for maximum corrosion resistance use a galvanised screw. Unlike the galvanised option, however, passivated screws typically have a high-shine finish and are ideal for applications where aesthetics are important. Stainless steel types are ideal for outdoor use. 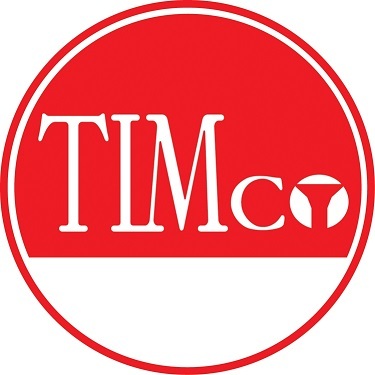 Because there’s no coating (the corrosion resistance comes from the screw’s composition) stainless steel coach screws are our most durable type, and are also resistant to the oils and acids in many timbers. To avoid splitting timbers, drill a pilot hole before inserting any screw. Pilot holes should be half the diameter of the screw when using softwoods, and three quarters its diameter when working with hardwoods. So, if you’re working with pine and you’re using a 12mm (M12) screw, drill a 6mm pilot hole. For the same screw in mahogany, make the pilot hole 8mm. To avoid overdriving the screw when working with timber, use a washer. Drive the screws into place using the correct size spanner or socket. In applications where the finish is important, take care not to scratch the surface of the screw. Tradefix Direct is the trusted name for reliable, great value screws in the UK. To find out which ones are right for your project, call us on 0161 794 1783.